VAIO, the former PC division of Sony and now an independent supplier of PCs, this week announced plans to introduce its first smartphone in Japan this spring. The company will use Microsoft Windows 10 Mobile operating system and will target business users with its VAIO Phone Biz handsets. VAIO intends to capitalize on Microsoft’s eco-system in order to offer products that will not directly compete against smartphones running Apple iOS or Google Android. 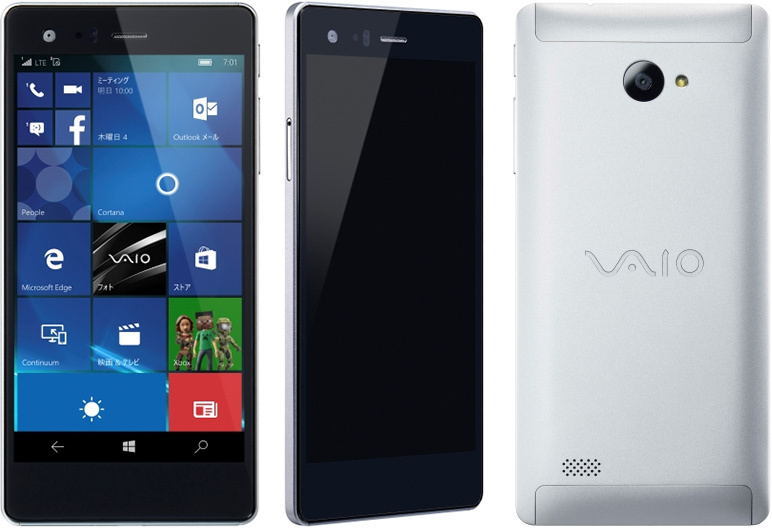 VAIO will promote its smartphones together with Microsoft and local operators in Japan. One of the selling points of the VAIO Phone Biz will be its support for the Continuum technology, which lets users to connect their smartphones to large displays or televisions using Miracast technology, HDMI/DisplayPort outputs, USB type-C ports or special accessories in order to use their phones like PCs (e.g., create/edit Office docs, send email, browse Internet, etc.). Since the VAIO Phone Biz smartphones will run Windows 10 Mobile, they will be fully compatible with Office 365, OneDrive, Azure Active Directory, Intune mobile app manager as well as Skype for business out-of-box. Microsoft will also help VAIO to promote its smartphones, just like it helps to sell notebooks and tablets designed by the company. With its handsets, VAIO intends to address business users, the target audience of its PCs. Such positioning will, perhaps, help VAIO to avoid direct competition with Sony, Samsung and other companies selling Google Android-based handsets to the masses. However, since Microsoft considers itself a cloud company, it wants its apps and services to work on all mobile platforms, even a close collaboration between VAIO and Microsoft will hardly create a lot of unique advantages for the hardware company. The VAIO VPB 051 smartphone will feature a 5.5-inch display with 1920x1080 resolution. The handset will be based on the Qualcomm Snapdragon 617 system-on-chip (eight ARM Cortex-A53 cores clocked at 1.50 GHz, Adreno 405 graphics core) and will be equipped with 3 GB of LPDDR3 RAM, 16 GB of NAND flash storage as well as a microSD card slot. The handset from VAIO will also feature 13 MP rear and 5 MP front cameras, 802.11a/b/g/n/ac Wi-Fi, Bluetooth 4.0, a micro USB 2.0 connector, various sensors, a 2800 mAh battery and so on. The smartphone is compatible with 3G/LTE bands 1, 3, 6, 8, 11, 19 and 21 with carrier aggregation (so, this particular model is not suitable for the U.S.). The smartphone will be 8.3 mm thick and will weigh 167 grams. The VAIO Phone Biz model 051 will use a unibody carved out of solid aluminum (VAIO does not reveal exact type of alloy), which means that it should be rigid. Keeping in mind that many premium smartphones nowadays are made of polycarbonate, aluminum body could become a tangible advantage of the VAIO smartphone. The smartphone will be manufactured by a contract manufacturer, its quality will be checked and tested at the Nagano Technology Site (Azumino City, Nagano Prefecture), the former hub of Sony’s PC operations, where VAIO already performs final checks and assembly of its PCs. The VAIO VPB 051 will hit the Japanese market this April at the price of ¥50,000 ($428). The smartphone will not be sold with contracts, the owners will be able to choose their operator. For this reason, the handset’s bundle will include an adapter for nanoSIM cards. The addition of a smartphone into the VAIO lineup is a clear sign that the company is planning to expand and address new markets. Moreover, with tablets, notebooks and smartphones in the family, the VAIO product line will be one of the most comprehensive Windows product lines in the world. The example of Apple shows that a vertically-integrated product stack helps to sell more products to loyal customers. 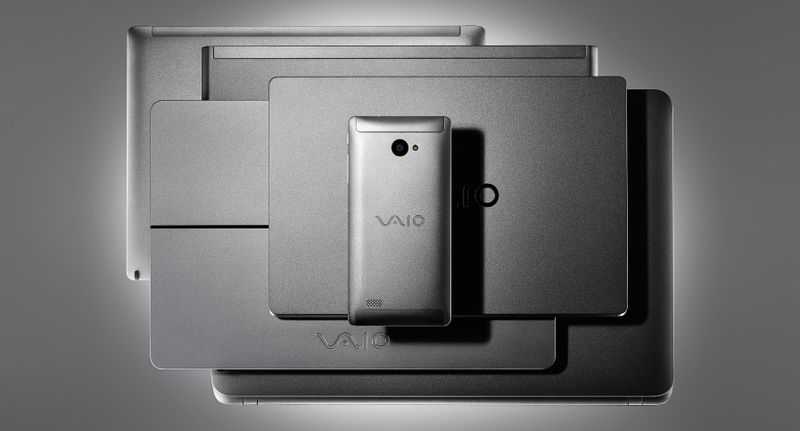 What remains to be seen is when VAIO plans to bring its smartphones to the U.S. The first-gen model is not suitable for the U.S. because of LTE compatibility issues (in fact, a business phone that cannot really support LTE in the U.S. is a strange business phone), if VAIO wants to sell it in North America, it will have to redesign its LTE module. Yeah. I'd expect they'd be quality phones. I'm certainty intrigued by them, and by Windows 10 mobile in general. I'm still not clear on how close to being real Windows it is...like whether it's as Windows-y as Windows 8.1 RT is or not. Considering how poor MS consoles are doing in Japan regardless their success elsewhere (I'm talking more of X360 than X1)... I'm under impression that Japanese Windows phone is likely to take majority of Windows phone share in Japan, regardless how big or small that market share is. Especially that there is no other Japanese Windows phone available, to my knowledge. Another thing... this, indeed, might be a solid moment to get into Win phones (presuming that company is interested in WP platform in general). Two new MS phones are OK, but from what I can see, hardware wise, they are last legacy from Nokia... and while OK, they are not really differentiating much (if at all) from other high-end devices, hardware and features wise. But with Surface team taking over phones development, I think next high-end refresh will be more distinctive with original features, if Panoz and his team's previous work on Surface Pro and Book are anything to judge after... so this quiet time in WP ecosystem could be best time to get into it and secure some beachhead. And in this theory of yours, how exactly does VAIO achieve what Lumia did not? 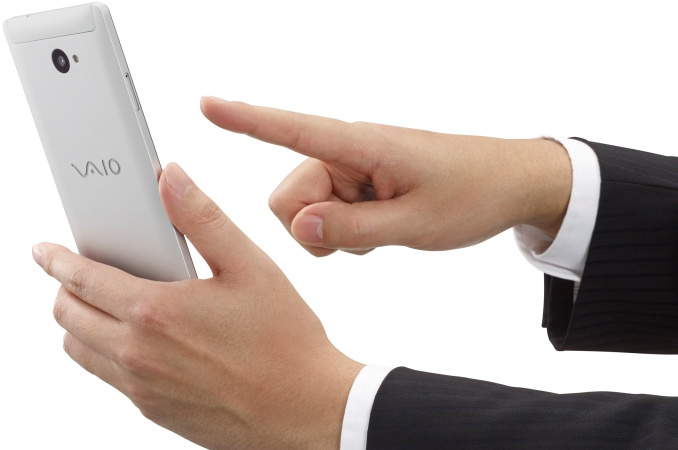 You wouldn't want all of your devices (PC, phone, tablet, etc.) to match and work together seemlessly? Oh, wait, that's what Apple tries to do... and hey, Apple also has brand recognition... I wonder what strategy could VAIO be trying to execute? you already have all that connection with windows phone 10 and windows 10. Having the same hardware brand doesn't change much at all if the software is the same.